The installation of HOB ETS will start with a few questions. The most are common like the license agreement, target directory, serial number and the start menu settings. 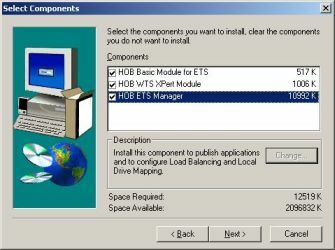 ETS exist of three parts, a basic module and two optional modules, XPert module for HOB Local Drive Mapping and ETS Manager for Load Balancing and Local Drive Mapping. During the installation you need to fill in a configuration name and the port which will be used for connection by HOB. We noticed HOB does not check if MS Terminal Server is enabled on the server and just installs the software. Think of that if you can not connect to the server using the HOB JWT client. 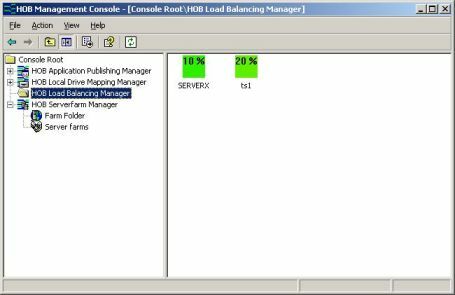 - HOB Load Balancing Manger. Using the HOB Server Farm Manager you set up the farm and adds the servers to this farm. After that you can configure the above enumerated tools. With Application Publishing Manager HOB you can publish applications separately. You specify the location of the executable and on which servers the application is available. That's all, nothing else to specify or configure. Local Drive mapping within HOB is enabled by default. 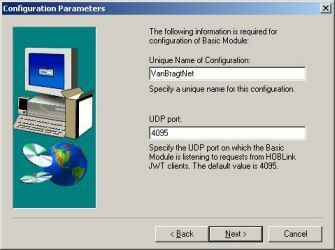 With the manager you can configure the usage of the local disks in detail. The idea is very good, also you need to use local drive mapping you can specify which part of the local drive is accessible for the user. You can deny or permit directories for read or write. The last option the load balancing manager. 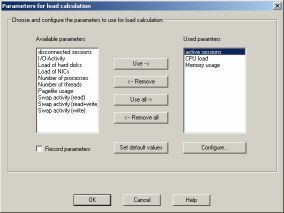 You can configure plenty of counters to determine the load of the server. You can configure this only on a server basis, but you can transfer the settings to the other servers with a few mouse clicks. HOB does not offer a lot of management info it self. Like more products you need to use the standard Microsoft Terminal Server tools for system administration. The only info HOB is displaying is the load on the server. In a glance you can exactly see the load, HOB did this easy but very effective. The user will need to get used to the JWT client. Because it is JAVA based the application looks slightly different than the users are be used to. HOB does not use seamless Windows when using Published Application. The users will get a full bleu screen with the application in front of it. We prefer to desktop if the application can not be presented in a Seamless window. Also the configuration of the client could be something easier and is not completely clear where to set or change the settings. HOBLink without Enhanced Terminal Services will only be used in environments where HOB also is used for connectivity to other systems. We do not see any value-add for connection to Terminal Server environment only, without using any additional products (like ETS or HOBLink secure [if you need encryption over RDP). Enhanced Terminal Services adds extra functionality to your MS Terminal Servers. Because we do not like Published Application without seamless windows, we find only Load Balancing and Local Drive Mapping options usable. Because HOB offers these options and the possibilities to add a Webproxy makes HOB a little better than standard Microsoft Terminal Server. But if the rumors are right this kind of features will be available in the next release of Microsoft Terminal Server and HOB will improve a lot to stay a competitor on the market.